What are world’s most beautiful night blooming flowers? Is your garden has any such night blooming flowers? If not, here we compiled a list of 10 flowers that bloom at night so that you know that the serenity and tranquility presented through a flowery garden is not just reserved for the day time. This beautiful creation of God continues to mesmerize humans throughout the day and all through the night. Flowers are the colors of this life. They create an atmosphere of happiness wherever they are. For centuries, flowers have been used as ornaments and for decor purposes. They have also been used for jewelry and in fact, even today, many Asian cultures use flowers to beautify the bride to be. The musical night that is arranged for the bride is considered incomplete unless there are some petals to exude the softness and beauty that is so particular of the bride. Is there any such flowers that bloom only at night in your garden? No, here we present you the list of 10 beautiful night blooming flowers in the world. The Evening Primrose reminds us of Primrose of the Hunger Games. Pretty as she was, the beautiful flower also endorses her beauty as we know why she had been named after the flower. The flower industry takes credit of bringing indigenous and exotic flowers to different places of the world. The Oenothera biennis, scientific name for the Evening Primrose, for example was indigenous to Northern America but is now found in New Zealand, Asia, Europe and Australia too. It blossoms only at night. Such beautiful night blooming flowers are basically sensitive to the presence of light. If placed in the bulb’s light, it would close its petals. 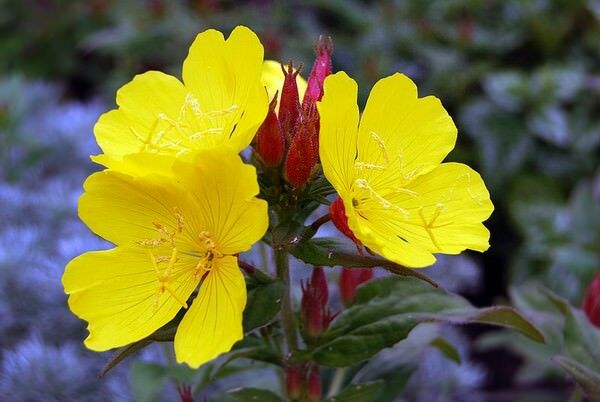 The yellow coloured Evening Primrose is of medicinal importance and its leaves, seeds and root are used in medicines. The oil of its seeds is also used for different purposes. This plant grows between 3 to 5 feet and the flowers are somewhere between three quarters of an inch to 2 whole inches. It is pollinated by insects that are nocturnal for example the nocturnal sphinx. See also; most expensive flowers in the world. The deep crimson red to purple water lily does not go unnoticed in ponds. It dwells in our memories ever since we became familiar with Thumbelina or The Frog in The Princess and the Frog. It is one of nature’s most beautiful ironies to let grow a plant as pretty as the night blooming lily in nothing but dirty ponds, because it may not survive otherwise. The plant is tropical in nature hence slightly differs the hardy lilies in scent and color. It is slightly darker and larger that the hardy lilly and presents a pungent smell which is not very noticeable by the olfactory sense. 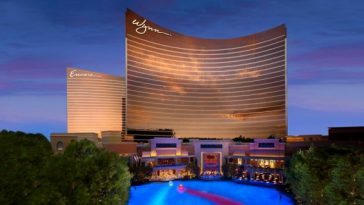 Imagine the beautiful dark colored flower floating on a pond against a dark mysterious background: it reminds us of the floating palace or a princess’ boat in the water. The tropical lily measures 7 to 10” in size and has around 20 petals on one flower. The Moon Flower or Ipomoea, in science, is called moon flower because it blooms in the moonlight. Fantasy stories and horror fiction has derived so much from nature and as we compare the formation of the werewolf and the happening of some magic in the moonlight, we can’t help but endorse the importance that fauna and flora have played in the development of the storyteller’s imagination! The flowers of this plant are pink or white. They open at night and then remain so until the dark is consumed by the morning light. They grow up to 15 feet in height and their growth is also influenced by the growth of the moon. It is recommended that they should be planted while the moon is new or increasing gradually. See also; Top 10 Flowers to Keep your Garden Colorful this Season. The Night Gladiolus is known as the Gladiolus Tristis in our science books. It is a creamy yellow flower with a spicy fragrance and usually grows in dense areas that experience heavy rainfall. This suggests that sunlight does not have a lot of role to play in its development. It is found along numerous elevation levels ranging from the sea level to high level elevation. The usual height of these plants is 36 to 48 inches and hey bloom in late spring to early mid summers. The plant attracts butterflies, bees and insects that play their role in pollination. Gladiolus is a word of Latin origin meaning sword. Rings a bell? Yes, reminded us of Gladiator too! Beware of the Gladiolus as it can cause allergic reactions and skin irritation. As the very posh name suggests, the Casablanca Lily is a very beautiful and even more expensive flower. It is used in wedding decor to amplify the mood of people that are already very excited about a certain marriage. The city of Casablanca might be famous because of the 1942 film that it was depicted in but the city is also famous for the same elegant and luxurious reasons that the flower is popular for. The Lilium genus of plants carries more than 110 species which are all cousins or sisters to the Casablanca Lily. The flower with 6 petals can be seen in yellow, white, orange, purple and pink. Apart from the excellent fragrance, the Casablanca Lily is also very delicate and elegant looking. It is one of the most popular amongst 10 flowers that bloom at night. See also; 10 Most Amazing Flowers and Their History. Did you know that flowers have a history of their own when it comes to symbolizing certain elements of nature or human life? There is a reason why flower vines have occupied a place on Persian carpets for centuries. There are reasons for flowers such, as the red rose, to have symbolised love for centuries. Nottingham Catchfly is a wildflower which has a touch of pink on white. Along with its hairy leaves and heavy fragrance, it does not appear to carry much appeal but it is still a beautiful flower. It attracts insects that fly at night. The flower gets its name for covering the Nottingham Castle wall many many years ago. They were destroyed during the 19th Century renovation of the castle. It has spoon shaped lower leaves and lace-shaped stem. The tender perennial Four o’clocks are another kind of pretty flowers that bloom at night. However, they are seen only during Summers and Spring but in a rather fascinating range of colours including red, yellow, pink, blue and white. It is very rarely that we see blue flowers but the Four o’ clock is a sight for the sore eyes. 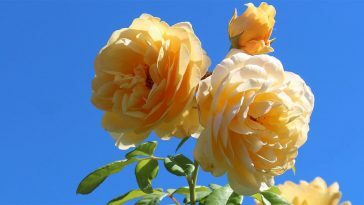 The growth of these flowers requires full exposure to the sun and it is not before 4 pm that they are able to bloom in full- hence the name Four o’ clock. When in full bloom, they transmit an amazing fragrance and hence make excellent hedges and barriers for landscaping and lawn. Dense bushes will not only mark lawn boundaries, but will also create a scene that would be healthy and appealing to the tired eyes. Brahma Kamal is also known as Saussurea Obvallata and is another beautiful flower that blooms at night. It has been named after the Hindu god Brahma and is indigenous to China, India and Burma. The flower has many medicinal uses and grows in the cold mountains of these countries. This brings to our mind those grand masters of medicine that treat a lost Samurai, hurt and weak, in the mountains with their herbs and flowers plucked from the cold ecosystem around their high homes. The purple flower heads of the Brahma Kamal are enclosed in papery layers of greenish-yellow boat shaped covers. The Dragon Fruit flower is found in Mexico and Central South America. It is also cultivated for fruit in Southeast Asian countries like Vietnam and Malaysia. The flowers are also produced in Taiwan, Israel and China which actually brings them quite far away from their land of origin. The credit for this goes to the expanding flower industry because of the growing need of flowers and related substances which in this case is the fruit. The flowers begin to bloom at 7 p and are fully open by 12 am. These flowers are seasonal and begin to appear in October and continue to be seen till May. The scientific name for Dutchman’s Pipe Cactus is Epiphyllum Oxypetalum, a name that covers a large variety of cactus that is native to the Latin countries of Mexico and Brazil in the Southern America. It can grow up to 20 feet in height which is almost 6.1m. It requires moist soil for growth and with dark green branches, it blooms in late spring and early summer. However, it blooms for only 1 or 2 days around the 30th of May, thus, making it a novelty. Each flower can be 11 inches long and 5 inches wide that blooms when the sun sets completely. Its fragrance is deep and fresh which accentuates as the flower sets to bloom. You may also like to see, World’s most beautiful but strange flowers. Also, some of the most beautiful Roses in the world.